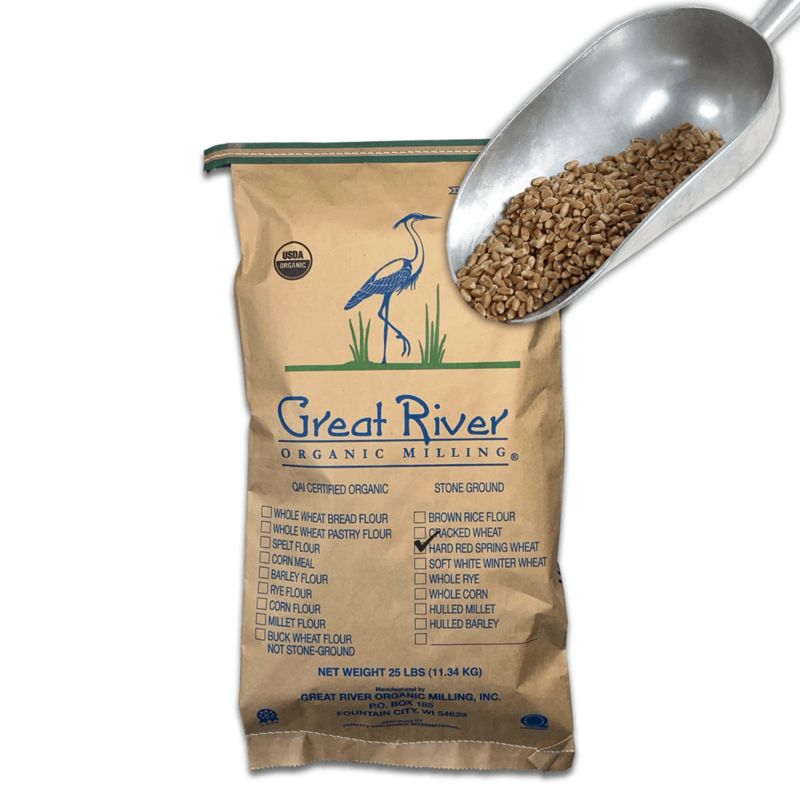 Great River Organic Milling sources most of its wheat from Western North Dakota where the dry summers tend to produce a quality wheat with a good protein content, averaging 13-14 percent, and a good gluten content. We consider this the best for home milling to then be used for baking breads. Quality wheat with 13-14% protein content. Excellent whole grain wheat for use in your home milling machine.